Casa Aliso is one of the best boutique hotels in Ecuador, full of personality and character and defined by its unique design, décor and ambiance. Originally a private residence built in 1936, this 10-room gem offers all of the style and comfort of a small luxurious home. 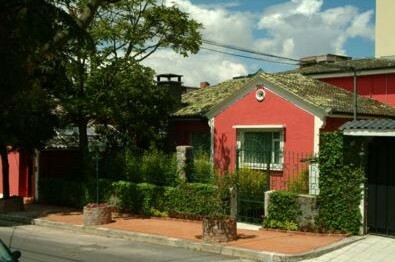 Casa Aliso is located in 'La Floresta', a beautiful traditional area in the northern sector of Quito, which was once the city's most elegant neighborhood. Encompassed by modern buildings, restaurants, hotels and banks, it still maintains its fundamental characteristic as a charming antique residential area surrounded by luscious trees and grand mansions. The accommodations vary from single rooms with one double bed, to large double rooms with two twin beds, one queen or king bed. The classic décor with a modern twist, stylish furniture, desks, windows with beautiful curtains and comfortable beds are sure to take your fancy. The rooms have been individually designed and decorated to include all modern amenities such as telephones, cable TV, a safe and a fire alert system with sprinklers. The bathrooms have telephones, 220v and 110v plug sockets, bathtubs with showers, bathrobes and hair dryers. The hotel has three main categories of rooms. Front garden view: Three lovely republican-style rooms with high ceilings and wooden floors that were the first ones to be built. Back garden view: These three rooms enjoy a serene atmosphere since their balconies enjoy a view of the beautifully maintained garden where resident birds come throughout the day. Upper level rooms: Four bigger and more recently built rooms are located on this level. They are constructed around a beautiful marble and iron staircase with a luxury antique chandelier.